It’s almost spring on Cape Cod and, even though we have had a very mild winter, we are really looking forward to watching the leaves appear on trees and flowers peak out of the ground around our Sandwich bed and breakfast. Spring is really my favorite time of the year on the Cape, and I look forward to our return each year from our winter vacation. The daily changes in the landscape are beautiful to observe. I like to take early morning walks to see what is blooming around Sandwich Village and to watch wildlife enjoying the warmer weather. It’s exciting to see the birds return to the bird feeders in the back garden of the inn and to watch as the wild turkeys visit from time to time. Although the shops and restaurants in Sandwich Village don’t close during the winter, it is always fun to watch as flower boxes are replanted and shop windows are spruced up for the season. Our quaint little village really does sparkle. The world renowned Sandwich Glass Museum is already open for the season, with all of the 6000+ pieces of glass polished to a brilliant shine and the furnace stoked for glass blowing. We are fortunate to have this wonderful museum just across the street from our bed and breakfast. It is a real favorite of our guests. 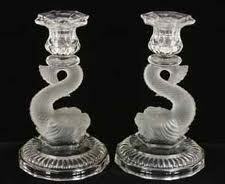 In addition to the permanent exhibits at the glass museum, they have a busy season of special events scheduled. Starting in March and running through July 15th, 2012, Pressing Business – The Glass Industry of South Boston provides information about 25 of the little known glassmaking firms that once called South Boston home. Glass Artist Eben Horton will have an exhibit in the Contemporary Glass Gallery April 4th through July 29th and Glass Artist Raj Kommineni will exhibit from August 1st through October 31st. From August 1st until October 31st, a special exhibition entitled “Sandwich Redux – In Celebration of the 50th Anniversary of the Contemporary Glass Movement” will be open to visitors. One of the most anticipated spring occurrences in Sandwich Village is the seasonal opening of one of the crown jewels of Cape Cod, Heritage Museums & Gardens. This year, the official opening day is April 14th at 10:00 am. Each year the gardens are filled with visitors from all over the world here to see the unparalleled beauty of the horticulture gardens, the stunning antique automobiles, and to attend fabulous weddings that are held here. This year visitors are in for a special treat. 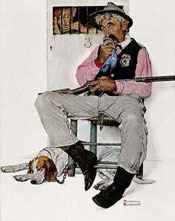 Iconic American Illustrator Norman Rockwell’s work will be featured in an exhibit entitled “Norman Rockwell: Beyond the Easel.” Visitors will have a rare opportunity to view over 150 works by this national treasure. We are especially excited about this exhibit as we have two hand-signed, artist’s proofs of Rockwell’s work at our Sandwich bed and breakfast. It is time to make your plans to visit Cape Cod if you are coming here this year. We are offering several great packages that include tickets to many Sandwich Village attractions. We have a special package just for the Rockwell exhibit at Heritage Museums & Gardens. Whether you choose one of our packages or just want to come for a relaxing get-away, we hope you will give us a call and stay with us.